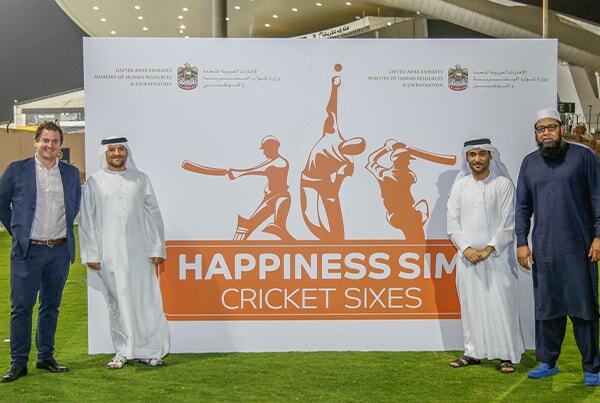 Al Eskan Yellow were outright champions of the second week of the six-over Happiness Sim Cricket Sixes tournament conducted by Abu Dhabi Cricket at their grounds. 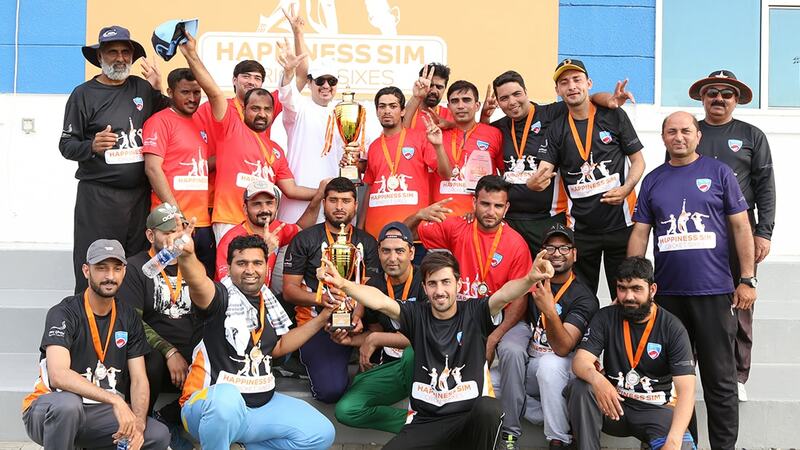 In the final they trounced Al Barakah XI by 30 runs. Batting first Eskan posted 88 runs from their six overs with Irshad (39) and Faiz (24) being their main scorers. Barakah were well short of their target and finished on 58 from their six overs. In the semifinals Al Eskan Yellow had an equally easy win against Raha Champion by 30 runs and Al Barakah were easy winners against NBB Warriors. A total of 50 teams are participating every Friday with 10 teams playing the winners of every week. The tournament is in its sixth week with the grand final to be held on May 3. Group B: Al Fahim Tigers, BKG MTB, Chaudary Eleven, Ali Mousa Tiger, Green Bridge Heroes. El Eskan 88 in 6 overs (Irshad 39, Fiaz 24) Al Barakah 58 in 6 overs. 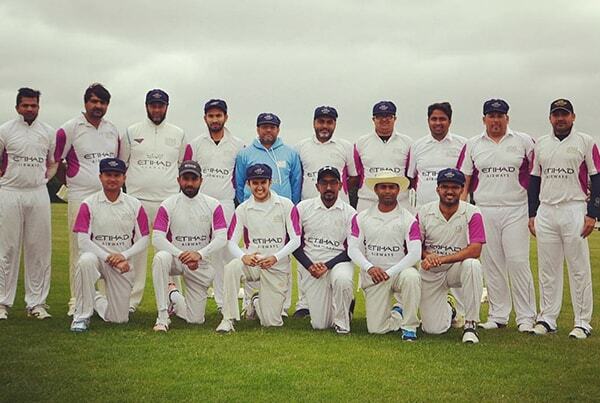 El Eskan 109 in 6 overs (Naeem 37, Fayyaz 37) Raha Champion 69 in 6 overs. The result is a world class, multi-purpose competition and expert training facility for both recreational and social use. The UAE's most exceptional cricket coaching programme for girls and boys of all abilities aged between four to 19 years. With eight new 5-a-side football pitches, this is a one-of-a-kind for Abu Dhabi where facilities are available for private hire from 9am-11pm daily. 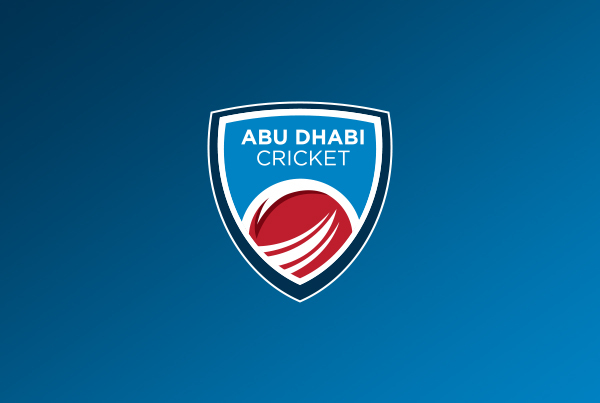 © 2019 Abu Dhabi Cricket | ADC. All rights reserved. Web Design by Blayney Partnership. Hold your breath for this one, it’s going to be huge!! A team full of internationally renowned names, collective global success and some of the biggest T20 strikers of the ball going around – can you guess our mystery sixth team? We can guarantee they’re sure to be a crowd pleaser with their tenacity and vigor both on and off the pitch!! Watch this space for what’s going to be one BIG reveal in the coming weeks!!! Tickets for this T20 showdown are now available from www.ticketmaster.ae, Virgin Megastores or the Zayed Cricket Stadium box office. At prices starting from just AED25 it’s unbeatable sporting value!